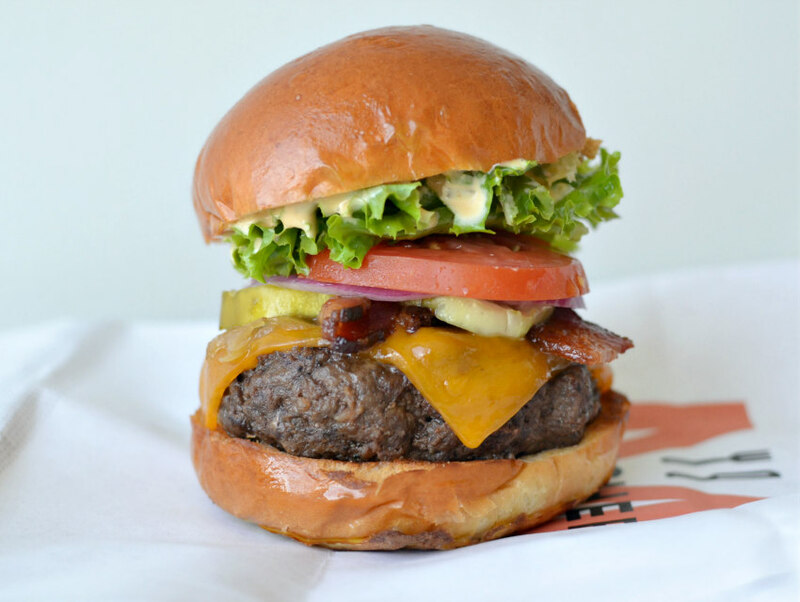 How perfect is Munchery's "Your Perfect Burger"? 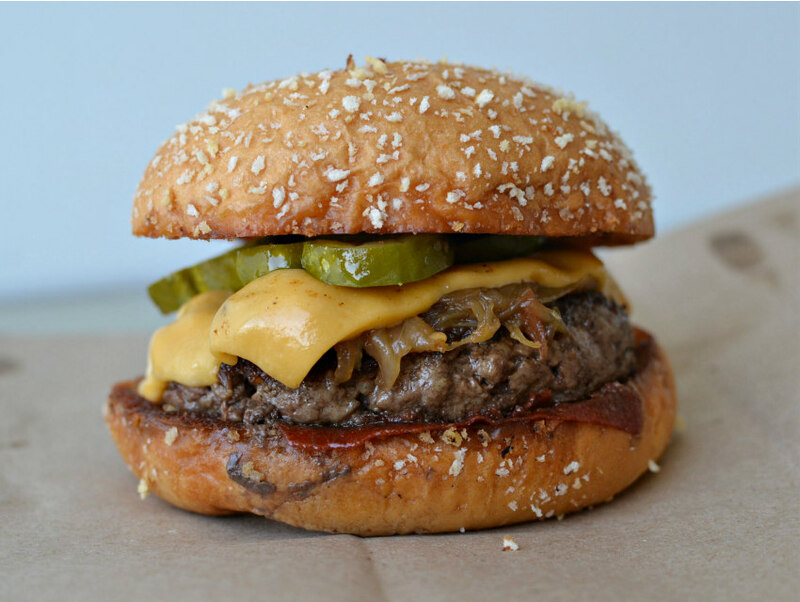 There has never been a better time to eat a hamburger in Los Angeles. The old guard, griddled standbys at Pie ‘n’ Burger, Apple Pan, and In-N-Out—though still masterpieces in their own right—have given way to the proprietary-blended, Talleggio-enrobed, foie-gras-spiked behemoths being critically lauded at Belcampo, Father’s Office, and Petit Trois. We’re smack in the middle of a ground meat ‘n’ cheese revolution. Another edible L.A. renaissance is coming straight from your fingertips. There are more options for on-demand food, booze, and produce at the touch of a button than ever before. There has never been a time in history more convenient for gluttons anchored to an office chair (or couch, or kiddie pool). Though the entrepreneurial and culinary stars are perfectly aligned, it’s still impossible to get a hot, fresh burger delivered to your door without the telltale smashed bun, congealed patty, and nest of sweaty lettuce. It’s a paradox, really: You want a juicy burger, and you want a sturdy bun, but after a few minutes of mingling, those two become mutually exclusive. It’s a cruel form of irony. A newish delivery service is trying to disrupt up the mobile burger paradigm. Munchery doesn’t have a storefront—and it doesn’t have a cool fleet of pink-mustachioed cars—but it does have a team of all-star chefs whipping up fancy, prepackaged dishes that are designed to be reheated at home. Last week, Munchery debuted its “Your Perfect Burger,” designed by chef Warren Schwartz (formerly of Warren’s Blackboard), that keeps all the ingredients separate until the last minute when its up to you to coordinate microwave times. It’s certainly an innovative solution to an age-old problem—but how does it hold up when put to the test? To get to the bottom of it, we ordered five different burgers using five different delivery services—including Munchery—and had them delivered to the office. Below are our very scientific, very soggy findings. Overall: Postmates charges a standard $5 delivery fee off the bat, then tacks on an additional cost based on the total distance traveled. After the additional 9 percent service charge is added, you’re likely going to be left with a hefty bill. If you’re ordering your burgers in bulk, Postmates might be appropriate, but spending $16 on one Double-Double probably isn’t a sustainable life choice. The burger itself held up better than expected, and the delivery person even called us from the In-N-Out line to ask if we wanted onions and cheese (grilled and yes, respectively). We were worried about iceberg lettuce condensation soaking through the bun, but the genius engineers at In-N-Out toast their buns so deeply that they’re basically waterproof. Overall: It was the embodiment of all delivery burger fears. Though it arrived slightly above room temperature—which scores high on the delivery burger heat index—the bun fell victim to a strong-gripped courier and arrived completely crushed. The patty was dry, the bun was wet, and the produce started to sweat a funky sheen. 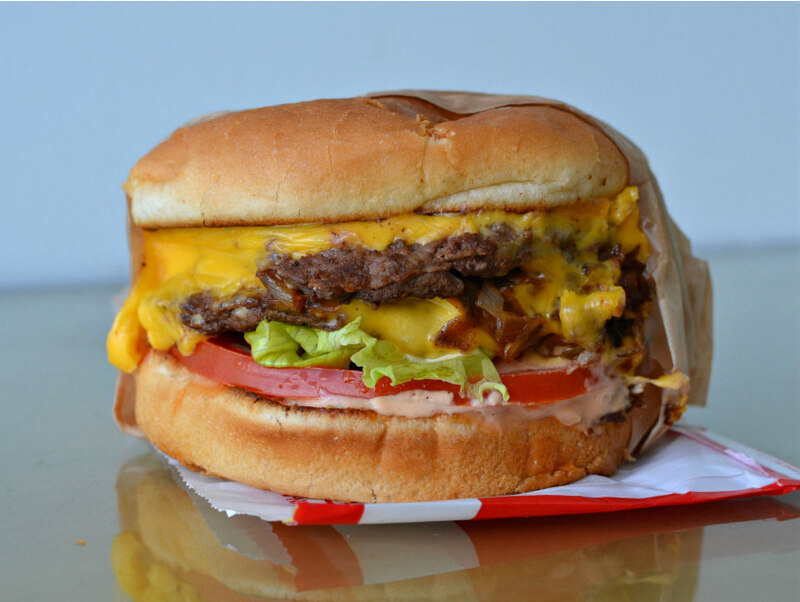 Though no burger is a bad burger, there are some that just can’t structurally hold up to L.A.’s lunch-hour gridlock. **Almost immediately after we placed our order, GrubHub’s site crashed. Two calls to the customer service hotline and almost 4 hours later, our burger arrived. Overall: It’s hard to fault GrubHub for the site crashing—that could have happened to anybody. And when the PCB finally did arrive, it was in the best shape out of all the mobile burgers. It was served in a hard plastic to-go container that prevented any crushing or mashing, and the ketchup leather on the bottom bun seemed to protect it from soaking through with meat juice. The patty was cooked to a still-pink medium and, even though the burger arrived at room temperature, it was deceptively juicy. Overall: It was so close! They almost did it. It was the quickest delivery by far at just 34 minutes, and the burger arrived hot, juicy, and exploding with medium-rare flavor. 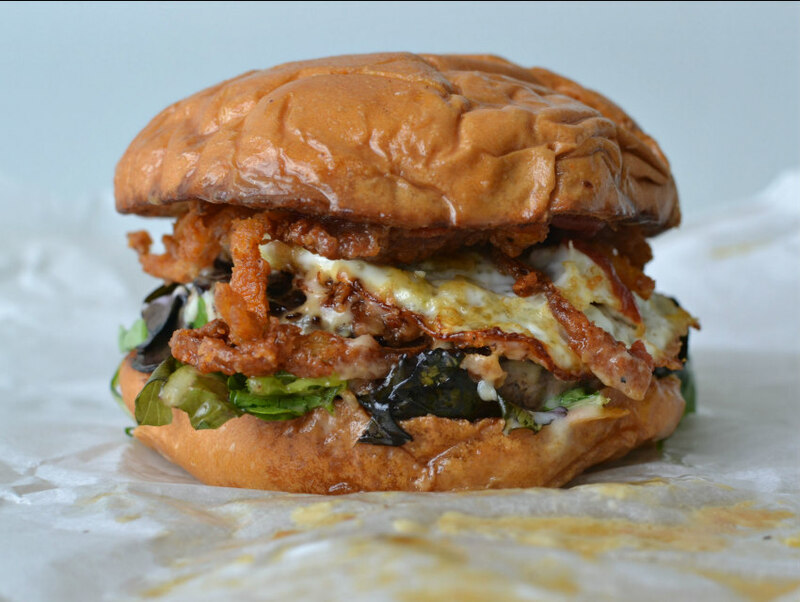 But, like all romantic heroes, True Burger had a fatal flaw: A criminally under toasted bun. The squishy bread gave way to a downpour of meat juices, and after peeling back its white paper wrapping, we were hit with a miniature grease flood. 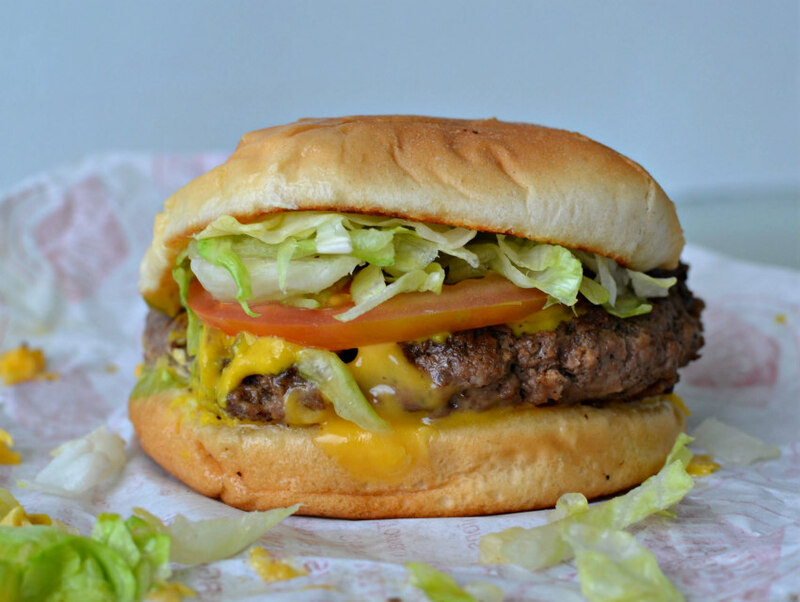 If cleanliness is a factor that goes into your lunchtime delivery needs, True Burger may not be it. **Munchery is not for spur-of-the-moment decision makers. If you want your burger to arrive between 4 and 5 p.m., you need to order by 2. Spontaneously hangry people beware. Overall: “Your Perfect Burger” came in a large white box with individually packaged components, a post card with in-depth reheating instructions, and—inexplicably—a poppyseed muffin (thanks for breakfast?). Per the postcard, we threw the plastic-wrapped burger patty, which was cooked sous vide and briefly seared before packaging, into the microwave for 90 seconds. It was supposed to come out medium rare, but it ended up more towards the medium-well side. It also left a giant puddle of beef drippings in the office microwave, so probably lay down some paper towels if you go the Munchery route. After adding bacon, cheese, and grilled onions, we nuked it a little while longer, and then topped it with pickles, lettuce, tomato, and a house-made thousand island. The bun and cheese weren’t wrapped inside the packaging, so both ended up a little bit stale, and the burger patty itself didn’t seem to like being thrown in the microwave for an extended period of time. It was a bit on the tough and overcooked side. Munchery has an incredibly clever solution to solving the delivery burger dilemma, we’re just not so sure the kinks are ironed out just yet.